On Friday, the 22nd of December, the KHL announced the names of the players who will captain the four Division teams in the 2018 All-Star Game. The 2018 KHL All-Star Game takes place on the 13th and 14th of January in Astana, and the format will be a mini-tournament involving the League's four Divisions: Bobrov, Tarasov, Kharlamov and Chernyshev. The team rosters were selected according to the traditional three-stage process of successive votes, first by the fans, then by the media, and finally by the League. Ilya Kovalchuk will be in his fourth All-Star Game, and in each one (2017, 2015, 2014 and 2013) he has taken to the ice as one of the starting five, including two occasions (2013 and 2015) as captain. Moreover, Ilya was also selected for the starting line-up for the 2016 event, but was prevented from taking part by an injury. 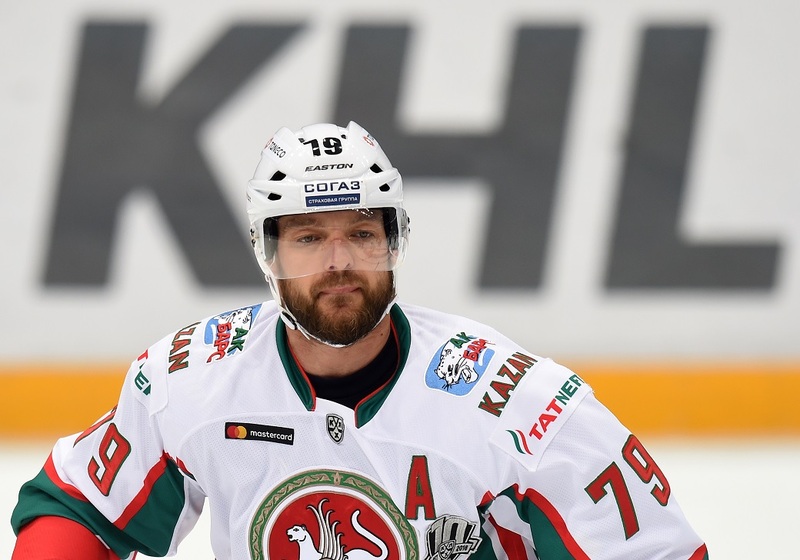 For Dmitry Kagarlitsky the Astana All-Star Game will be his fifth in total. In 2017, 2016, and 2015 he was still a Severstal player, but back in 2013, when he was a third-line choice, he was at Metallurg Novokuznetsk. Andrei Markov will be making his KHL All-Star Game debut, but it is not the first time he has been selected. In2013, he was a fans' choice for the starting lines in Chelyabinsk, but was recalled to North America when the NHL lockout ended. «I think it's a great honor for any sportsman to be named as team captain, but even more so when it's the All-Star Game, which features the finest players in the KHL. I feel privileged, and I think it will be an exciting event,» - Markov said. Nigel Dawes will be participating in his fourth All-Star Game, but this is the first time the legendary Barys forward has been chosen for the starting lines. In 2017 and 2016 he was selected by the League, while he was a journalists' choice in 2015. «I'm very happy to have been named as the captain of the Chernyshev Division, especially because this All-Star Game will be staged here in Astana,» - said Dawes.